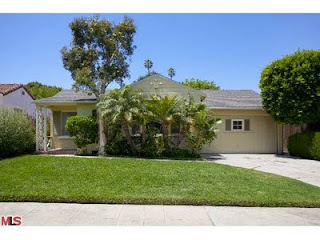 The Westwood home at 2145 Balsam Ave LA CA 90025 lasted 5 days on the market before accepting an offer on 6/21/11. The home was listed on 6/16/11 for $920,000 and closed on 8/19/11 for $935,000 |$499 $/sf|. While most buyers would be interested in updating this home from it's vintage condition, it's in clean livable condition. According to the MLS, 2145 Balsam Ave is a 3 bedroom / 2 bath, 1,874 sf of living space on a 6,750 sf lot.